Living sustainably and waste-free is an initiative that more and more Filipinos have been supporting. Not only through the "No Plastic" policy of major supermarkets and establishments, but through the minimization of plastic and non-biodegradable use altogether. 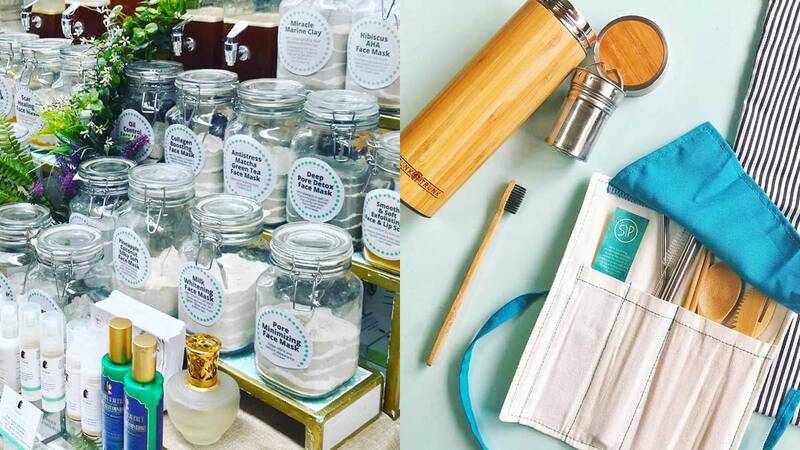 Metal straws, cloth bags, and reusable hygiene products—these efforts, though seemingly small, come together and create a big and positive impact on the environment. Further supporting this cause are these zero-waste stores that you find around the metro. Not only will you get to help save Mother Earth, you also get to help out small and local communities with ther livelihood. The Got Heart PH Shop is a project of the Got Heart Foundation Inc., which opened its first store in 2012. With products ranging from fresh local produce, organic hygiene products, and even recycled accessories, Got Heart PH is a one-stop shop for your daily needs. Partnering with local and marginalized communities, the establishment aims to provide an avenue for our local farmers and growers to be able to sell their products. What you can buy: organic produce, handmade soaps, candles, recycled stationery, recycled accessories, and many more. A coffee joint and produce store found in Makati, Ritual has made bulk-groceries available since 2010. Selling organic and hard-to-find items, Ritual also makes it a point to help small communities by introducing their specialty products to a bigger market. The brand even holds mini events in their shop that make coffee and groceries a new experience for customers. What you can buy: coffee, pantry items, toiletries, home cleaning products, and many more. Known for their all-natural & organic skincare and hygiene products, Cleopatra's Secret is a brand that's been making waves in the beauty department. Having received good reviews and promising testimonies, the brand aims to promote the benefits of eco-friendly products. Apart from using sustainable materials, Cleopatra's Secret also promotes zero-waste packaging. Most of their items come package-free and in bulk, so customers can buy the quantity they need. What you can buy: mud clay masks, facial cleansers, rosewater toners, soaps, and many more. Rags2Riches is a fashion and design house committed to empowering community artisans, by providing livelihood opportunities to local communities. The company houses different brands that offer a variety of products ranging from recycled accessories, to reusable household items. Rags2Riches is sure to have items that will find a home in your household. What you can buy: woven bags and pouches, zero waste life starter kits, and many more. Reusable bags: Bring sturdy and washable cloth bags that can carry all of your groceries. Reusable containers: Keep products fresh by using sealed reusable containers. Reusable toiletry containers: Skip small disposable packaging and bring reusable containers, especially for liquid or powdered goods.